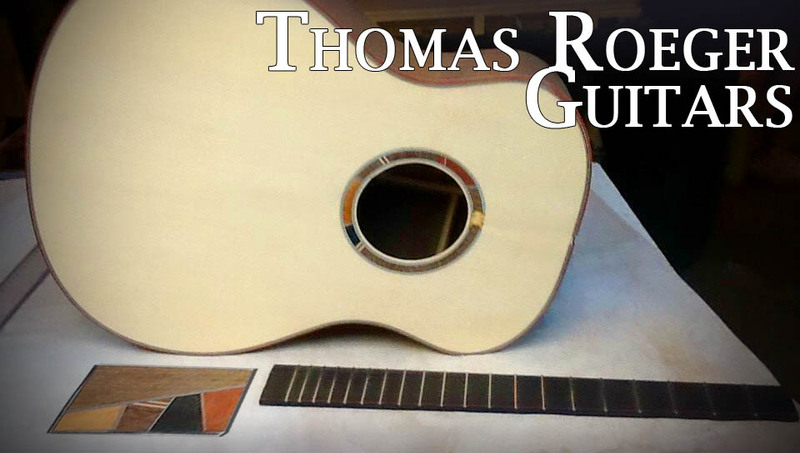 Thomas Roeger, or Tom’s Guitars and Ukuleles in Bloomington, is our Grand Prize Guitar builder for 2016. I revised my Saint Cecilia model by widening the waist and narrowing the upper bout. This guitar’s back and sides are wenge, and it’s top is Carpathian spruce. The binding and backstrip are bloodwood, while the fingerboard and bridge will be ebony.